SWITZERLAND, Zurich — Based on breaking news and events, it appears that CIA Headquarters beneath Lake Geneva is preparing to execute a wave of Islamic terror attacks in Turkey. Said attacks will most likely be blamed on the state-sponsored terror group known as ISIS. Exactly what type of terror is now in play for Turkey is not known, but Islamic attacks on Turkish airports, landmarks, nuclear reactors, trains, train station and schools are the most likely. That being said, Turkish government buildings could suffer a coup by ISIS-inspired terrorists. 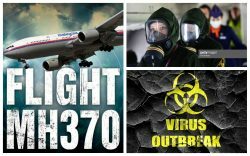 Turkey may also suffer a 9/11-style bio-attack from the previously hijacked Flight MH370 which was disappeared by the CIA back on March 8, 2014, explicitly to execute a WMD-related attack, sparking the bio-terror pandemic planned for 2015. In order to foreshadow ISIS-related terror in Turkey just prior to its fruition, it was reported on October 7, 2015, that an ISIS currency mint was found in Turkey and that 6 terrorists were arrested. Needless to say, the mint report was fabricated in order to show that Turkey is financing terrorism. In what appears to be pre-Russian attack on Turkey programming, the Guardian published a report on October 8, 2015, entitled “NATO Ready to ‘Defend’ Turkey as Russia Strikes Syria”, foreshadowing that a Russian attack on Tukey is imminent. In what appears to be a preview of Turkish terror to come, it was reported on October 10, 2015, that at least 86 people were killed in twin bombings near a train station in Istanbul. Although the attack was likely executed by a NATO drone, it was blamed on Islamic terrorists. In what appears to be a Roman-like blood sacrifice offered up to a successful terror attack on a Turkish airport, it was reported back on October 21, 2015, that an ex-U.N. official and journalist named Jacqueline Sutton was found dead in Turkish airport. In what appears to be a CIA-spawned publicity stunt designed to foreshadow an attack on a U.S. and/or NATO-related embassy in Turkey, it was reported back on October 25, 2015, that several people were injured in violent brawl outside the Turkish embassy in Japan. A day later on October 26, 2015, it was reported that 7 ISIS members and 2 police officers were killed in Turkey. Needless to say, the killings were designed to highlight ISIS terrorists within Turkey just prior to a false-flag attack. Lastly, in what appears to be another CIA-spawned publicity stunt designed to highlight ISIS in Turkey just prior to a wave of attacks, the Daily Mail published a report on October 27, 2015, entitled “The Jihadi Jedis: ISIS Cell Arrested in Turkey Kept a Stash of Darth Vader Masks”. Based on breaking news and events, it appears that CIA Headquarters beneath Lake Geneva is plotting a wave of bio-terror attacks in Europe which will predictably be blamed on the state-sponsored terror group known as ISIS. As depicted in the May 25, 2015, Truther.org report entitled “ISIS ENDGAME: How and Why the CIA Created ISIS as Cover for Nuclear and Biological Terror Attacks”, ISIS was specifically created in order to turn the world upside down in the aftermath of revelations that Switzerland is home to the CIA. As foretold in the Bio-Terror Bible, the genesis of the 2015 bio-terror pandemic will be a “made-for-TV event” whereby millions will witness the bio-terror outbreak in person or on live television. Consequently, bright orange, red, green or yellow colored gas will be used in the bio-attack. The staged bio-terror “event” will likely occur when the agents known as anthrax (Bacillus anthracis) and/or smallpox (Variola major) are allegedly released by terrorists into a controlled environment such as subway, train, or train station. That being said, the CIA may stage a 9/11-style bio-terror attack in Europe via Malaysian Airlines Flight MH370 which was specifically hijacked by CIA on March 8, 2014, in order to execute a surprise WMD attack. Consequently, skyscrapers, sporting events and landmarks may suffer a bio-terror attack. The notion that the CIA is plotting a bio-chemical attack in Europe was first identified back on June 26, 2015, when a man was reportedly beheaded at a gas factory in France. The incident was staged in order to associate “gas” with Islamic terrorists just prior to an ISIS-inspired bio-chemical attack in Europe. Roughly 5-months later on November 19, 2015, it was reported that an ISIS terror branch is now seeking to produce chemical weapons. The timely report from U.S. and Iraqi intelligence was designed sell the notion that ISIS is planning a far more deadly attack, namely in Europe. Coincidentally, a day later on November 20, 2015, French Prime Minister Manuel Valls warned that ISIS could be planning a bio-terror attack, stating that “We must not rule anything out…But we know and bear in mind that there is also a risk of chemical or bacteriological weapons“. Translation: the CIA is now plotting state-sponsored bio-chemical terror attacks in France which will be executed under the ongoing state of emergency which was declared in the aftermath of the state-sponsored Paris Terror Attacks on November 13, 2015. Coincidentally, a day later on November 21, 2015, it was reported that chemicals and explosives found in terror raid in Brussels, Belgium, confirming, albeit in a de facto manner, that a state-sponsored bio-terror attack in Europe is now imminent. In what appears to be pre-French bio-terror attack programming, it was reported on November 23, 2015, that protective bio-hazard suits were stolen from a hospital in Paris. Post-bio-terror attack, it will predictably be said that the suits were stolen by Islamic terrorists in order to produced and handle bio-chemical weapons. In order to psychologically prepare Europe for the impending bio-attack, it was reported on November 26, 2015, that white powder which was found at a Brussels mosque turned out to be flour. Needless to say, the anthrax scare was orchestrated by the CIA in order to foreshadow an Islamic bio-terror attack in Europe. In the aftermath of an unprecedented ISIS-inspired bio-terror attack and subsequent pandemic that culls tens of millions, it will said that the bio-chemical weapons emanated from Syria. Said weapons will have been transported out of Syria by ISIS who is openly being funded by the Obama administration under the guise of the Syrian Rebels. Back on December 14, 2015, it was reported that 2 Syrian terrorists were arrested in Geneva on suspicion of the “manufacture, concealment and transport of explosives or toxic gases, as well as on suspicion of violating the prohibition of groups such as al Qaida, ISIS and similar organizations”. A week later on December 21, 2015, it was reported that a chemical tanker truck crahed in Dnepropetrovsk, Ukraine, spewing orange-colored nitric acid near a children’s playground. The incident was likely staged by the CIA in order to foreshadow a bio-chemical-related attack in Europe, possibly via ISIS and/or the Russian government. Needless to say, these reports, taken collectively, confirm that bio-attacks in Europe are imminent. Back on August 10, 2015, Fox News reported that the U.S. Consulate in Istanbul was attacked by two female gunmen. According to reports, the consulate is now closed to the public pending an investigation by American and Turkish authorities. Whether the timely attack provided the necessary cover for the installation of weapons and/or explosives within the U.S. Consulate in Turkey is not known but it’s highly likely. Said weapons and/or explosives could be used at a later date in a coordinated state-sponsored terror attack. 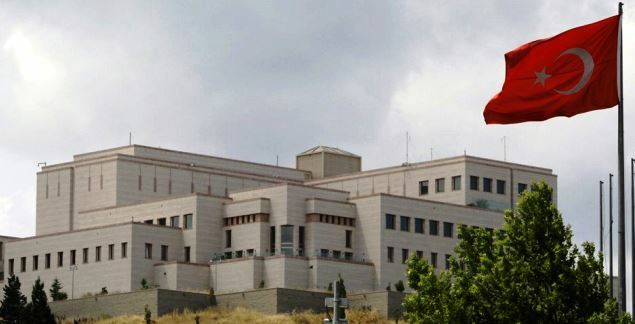 Due to its visible location on a hill overlooking the city, the U.S. Consulate in Istanbul may suffer a made-for-TV siege and hostage crisis by ISIS-inspired Special Forces (i.e., professional terrorists). The fort-like consulate would then serve as a beachhead for ISIS-related attacks in Europe. Lastly, the notion of an Islamic terror attack on a U.S. consulate or embassy in Turkey was witnessed back on February 1, 2013, when a suicide bomber attacked the Embassy of the United States in Ankara, killing a security guard and wounding 3 others. Within the last few months, Turkey has suffered three terror attacks, two of which occurred close to its border with Syria. The Turkey-terror narrative was first identified on July 21, 2015, when 32 people were killed in a suicide bombing in Suruc, Turkey. The attack, which was executed across from the border from Syria, was designed to have a chilling effect on the Turkish activists just prior to ISIS-related attacks. The second terror attack in Turkey was reported a day later on July 22, 2015, when two police officers were reportedly assassinated in Ceylanpinar, Turkey. The attack, which was also executed across the border from Syria, was designed to have a chilling effect on Turkish police officers just prior to ISIS-related attacks. That same day, July 24, 2015, it was also reported that Turkey formally agreed to allow the U.S. military to use its airbases for strikes against ISIS. Considering that the U.S. has military bases across the Middle East, the agreement was only made in order to provide another motive for ISIS-related attacks in Turkey. In order to intimately tie Turkey to ISIS prior to 9/11-scale terror attacks, Turkey allegedly arrested over 600 suspected terrorists on July 25, 2015. Aside from providing another timely motive for ISIS-related attacks in Turkey, the report was designed to sell the notion that Turkey is a second home to ISIS. 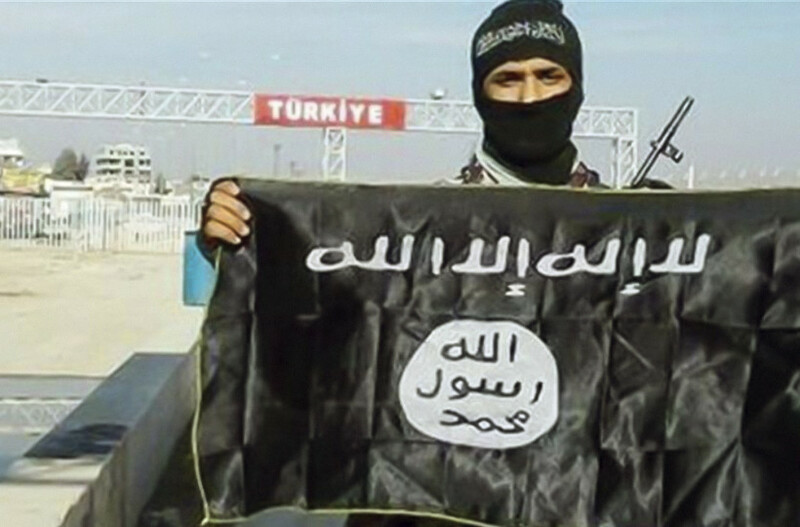 That same day, July 25, 2015, the BBC published a report entitled “Turkey: From Reluctant Observer to Full Player in IS Fight”, confirming, albeit in a de facto manner, that the country of Turkey is being groomed to play a vital role in the execution of ISIS-related terror attacks. The third terror attack in Turkey was reported on July 26, 2015, when a car bombing killed 2 soldiers in Ankara, Turkey. Similar to the aforementioned attacks, the car bomb was designed to have a chilling effect on the Turkish military just prior to ISIS-related attacks. 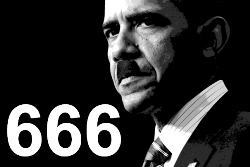 Considering that U.S. President Obama is scheduled to visit Turkey on November 14, 2015, state-sponsored Islamic attacks are expected just prior or during his visit. Said attacks will give Obama a bully pulpit from which he can lecture the world about the dangers of ISIS while simultaneously funding them. SWITZERLAND, Zurich — Based on breaking news and events, it appears that the CIA in Switzerland is preparing to execute Islamic and/or Russian-based terror attacks on U.S. and/or NATO-related consulates and embassies. Said attacks will most likely be blamed on Islamic terrorists. Although the impending false-flag terror attacks could theoretically target consulates and embassies in Iraq, Pakistan or Yemen, recent events in respect to ISIS and Russia suggest that consulates and embassies in Eastern Europe (e.g., Ukraine) and Turkey are the most likely to suffer an attack. Consequently, the made-for-TV consulate/embassy attack will likely be scapegoated onto Russia and/or the state-sponsored terror group known as ISIS. Needless to say, the attack will be used as a pretext for more U.S. and NATO military involvement in Eastern Europe and/or the Middle East. Back on August 10, 2015, Fox News reported that the U.S. Consulate in Istanbul was attacked by two female gunmen. According to reports, the consulate is now closed to the public pending an investigation by American and Turkish authorities. Whether the timely attack provided the necessary cover for the installation of weapons and/or explosives within the U.S. Consulate in Turkey is not known but it’s highly likely. Said weapons and/or explosives could be used at a later date in a coordinated state-sponsored terror attack. Due to its visible location on a hill overlooking the city, the U.S. Consulate in Istanbul may suffer a made-for-TV siege and hostage crisis by ISIS-inspired Special Forces (i.e., professional terrorists). The fort-like consulate would then serve as a beachhead for ISIS-related attacks in Europe, namely Switzerland. The notion of an Islamic terror attack on a U.S. consulate or embassy in Turkey was witnessed back on February 1, 2013, when a suicide bomber attacked the Embassy of the United States in Ankara, killing a security guard and wounding 3 others. In what appears to be pre-Russian embassy attack logistics, it was reported on July 1, 2015, that hundreds of people staged an anti-U.S. protest in front of embassy in Kiev, Ukraine. The protest was likely staged in-part by the CIA in order to highlight the embassy just prior to an attack. Whether the timely protest in Kiev provided the necessary cover for the installation of weapons and/or explosives within the U.S. embassy is not known, but it’s highly likely. Said weapons and/or explosives could be utilized at a later date in a coordinated state-sponsored terror attack. It’s highly likely that the impending terror attacks on U.S. and/or NATO-related consulates and embassies will be a redux of the Iranian Hostage Crisis which resulted in 52 American diplomats and citizens being held hostage for 444 days (November 4, 1979, to January 20, 1981) by Iranian terrorists. Lastly, the notion that Islamic terrorists would attack a U.S. embassy was witnessed back on September 17, 2008, during the 2008 American Embassy attack in Sana’a Yemen which resulted in the deaths of 18 people, including the 6 Islamic attackers, 6 Yemeni police officers, and 6 civilians. Within the last month, Turkey has suffered three terror attacks, two of which occurred close to its border with Syria. The Turkey-terror narrative was first identified on July 21, 2015, when 32 people were killed in a suicide bombing in Suruc, Turkey. The attack, which was executed across from the border from Syria, was designed to have a chilling effect on the Turkish activists just prior to ISIS-related attacks. The second terror attack in Turkey was reported a day later on July 22, 2015, when two police officers were reportedly assassinated in Ceylanpinar, Turkey. The attack, which was also executed across the border from Syria, was designed to have a chilling effect on Turkish police officers just prior to ISIS-related attacks. That same day, July 24, 2015, it was also reported that Turkey formally agreed to allow the U.S. military to use its airbases for strikes against ISIS. Considering that the U.S. has military bases across the Middle East, the agreement was only made in order to provide another motive for ISIS-related attacks in Turkey. In order to intimately tie Turkey to ISIS prior to 9/11-scale terror attacks, Turkey allegedly arrested over 600 suspected terrorists on July 25, 2015. Aside from providing another timely motive for ISIS-related attacks in Turkey, the report was designed to sell the notion that Turkey is a second home to ISIS. That same day, July 25, 2015, the BBC published a report entitled “Turkey: From Reluctant Observer to Full Player in IS Fight”, confirming, albeit in a de facto manner, that the country of Turkey is being groomed to play a vital role in the execution of ISIS-related terror attacks. The third terror attack in Turkey was reported on July 26, 2015, when a car bombing killed 2 soldiers in Ankara, Turkey. Similar to the aforementioned attacks, the car bomb was designed to have a chilling effect on the Turkish military just prior to ISIS-related attacks. Prior to a shocking embassy and/or consulate-related terror attack, the CIA must create the necessary narrative in the media that said embassies and consulates are now being targeted. This latest narrative was first identified back on February 13, 2015, when a U.S. guard was reportedly injured after a car rammed the U.S. Consulate in Shanghai, China. The timely and brazen attack was designed to show that U.S. consulates and embassies are now actively being targeted. Roughly 2-weeks later on February 26, 2015, an Al Qaeda suspect was convicted in 1998 U.S. Embassy bombings in Kenya and Tanzania that killed 224 people. The conviction of the Al Qaeda terrorist Khaled al-Fawwaz for the 17-year old attack was timed in order to re-hash the deadly attack just prior to redux-like attack. Less than 24-hours later on February 27, 2015, it was reported that police detained a suspect who claimed to have bomb outside the U.S. consulate in Turkey. The suicide bomber’s arrest was likely staged in order to show that Islamic terrorists are now actively targeting U.S. consulates and embassies. Four days later on March 3, 2015, it was reported that during a protest, a red blood-like liquid was splattered all over the Indonesian Consulate in Sydney, Australia. The CIA-spawned publicity stunt was evidently designed to foreshadow a bloody consulate/embassy-related massacre just prior it actually transpiring in reality. Less than 24-hours later on March 5, 2015, the U.S. Ambassador to South Korea was attacked by a man with a knife in Seoul, North Korea. The bloody attack on the U.S. ambassador was designed to set the precedent for a far greater terrorist attack on U.S. consulate or embassy workers. That same day, March 5, 2015, it was also reported that Iranian embassy worker in Yemen was freed after being held by Al Qaeda for more than 18 months. The timely report was designed to associate terrorists with embassies just prior to a horrific state-sponsored terror attack on a U.S. consulate or embassy. Roughly a month later on April 13, 2015, it was reported that ISIS’ branch in Libya was targeting the Moroccan Embassy building in Tripoli. The timely report was designed to foreshadow the notion that ISIS will be executing an attack on a consulate and/or embassy in the near future. Four days later on April 17, 2015, a car bomb reportedly exploded outside the U.S. Consulate in northern Iraq. The attack was designed to set the precedent for a far deadlier U.S. consulate/embassy-related terror attack, most likely in the Middle East or South Asia. Roughly 2-weeks later on April 29, 2015, Saudi Arabia allegedly foiled a car bomb plot targeting the U.S. Embassy. The incident was likely staged or fabricated by the CIA in order to sell the notion that Islamic terrorists are actively targeting U.S. consulates and embassies. In order to draw unprecedented media attention to both U.S. embassies and state-sponsored terrorists targeting them, it was reported on May 15, 2015, that an ex-Osama Bin Laden aide was sentenced to life in the African embassy bombings. Needless to say, a copy-cat-like embassy attack is imminent. Four days later on May 19, 2015, it was reported that Obama allegedly knew Al Qaeda planned to attack the U.S. embassy in Benghazi 10 days prior. The timely report was designed to rehash the deadly terrorist attack just prior to another embassy-related attack. Two days later on May 21, 2015, mortar shells reportedly exploded near the Russian embassy in Syria, killing 1. Aside from setting the precedent for another embassy-related attack, the location of the attack was designed to highlight the Syrian Rebels (i.e., ISIS) just prior to an attack on a U.S. or NATO-related consulate or embassy. In order to bring unprecedented media attention to consulate and embassy-related terror just prior to a false-flag terror attack, it was reported on June 5, 2015, that the Pakistani man accused in the Canadian and U.S, Consulate bomb plot was ordered deported, drawing unprecedented attention to the notion of a consulate bombing. Roughly 2-weeks later on June 22, 2015, the Pentagon claimed that an ISIS terror operative suspected in 2012 Benghazi attack was killed by a U.S. airstrike. Aside from proving a timely motive for a revenge attack, the report to rehashed the 2012 Benghazi Attack just prior to a redux attack transpiring in reality. Roughly 3-months later on July 11, 2015, the state-sponsored terror group known as ISIS claimed responsibility for an explosion at the Italian consulate in Cairo, Egypt. Roughly 2-weeks later on July 24, 2015, it was reported that South Korea arrested a man over a threat to kill a U.S. envoy. Needless to say, these reports, taken collectively, suggest that a state-sponsored terror attack on a U.S. or NATO consulate or embassy is imminent. Lastly, on August 10, 2015, the U.S. Consulate in Istanbul was attacked. Needless to say, these reports, taken collectively, suggest that attacks on U.S. and/or NATO consulates and/or embassies are imminent.